Polish bus manufacturer Solaris Bus & Coach S.A. has signed a contract to deliver 41 trolleybuses to the Vilnius bus operator UAB „Vilniaus viešasis transportas" (VVT). It is only few weeks ago that Solaris won an order for a delivery of 150 buses to the same operator. 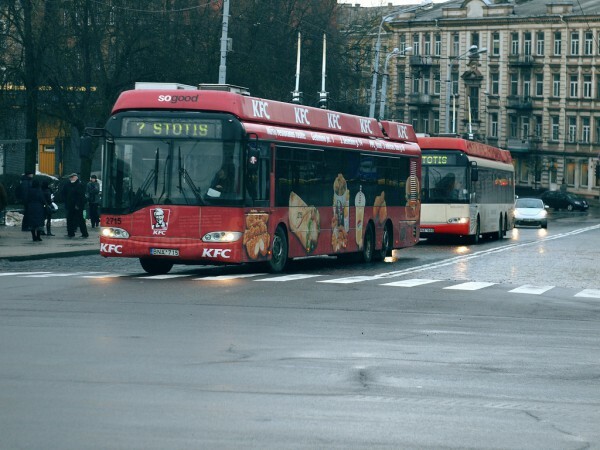 All 41 trolleybuses will be delivered to Vilnius in 2018. The Solaris Trollino 12 vehicles will be equipped, among others, with an energy recuperation system, air-conditioned passenger compartment, Wi-Fi Internet, USB charging sockets for the passengers and a CCTV monitoring system. One of the additional safety features on board will be a breathalyser, installed in the driver’s cabin and checking the driver’s sobriety before starting the vehicle. Solaris trolleybuses are familiar to the citizens of Vilnius. The Polish manufacturer delivered its first vehicles of this type to the capital of Lithuania in 2004. Together with the new buses, there are nearly 200 Solaris vehicles in the cities of Vilnius, Kaunas and Panevezys. Owing to the agreement signed with VVT in November 2017 for a delivery of 150 buses (100 new Urbino 12 and 50 new Urbino 18), and the new contract including 41 trolleybuses, this number will be doubled in 2018.